Add all of the ingredients into a sauce pot over low heat. Stir together on the stove until the sugar dissolves and the cranberries begin to soften--approximately ten minutes or so. Once the sugar is dissolved, increase the heat to medium. Cook down until the cranberries begin to burst, and the mixture bubbles a bit. Stir occasionally, as the cranberries begin to cook down and look more like a sauce. 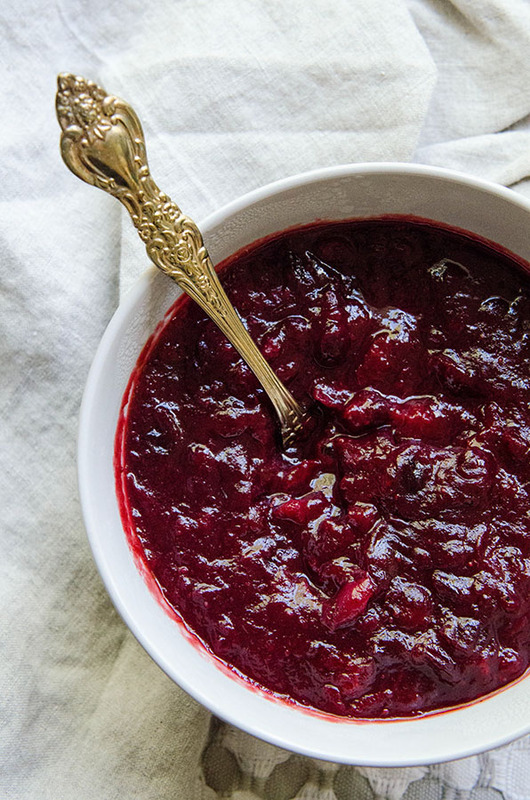 Once the cranberries are bursting, turn the heat back down to low and stir for a few minutes until the cranberries have all burst and it has formed into a sauce. Don't worry about it being too thin, the mixture will thicken up upon refrigeration. Refrigerate your mixture for an hour or so, or until it comes to room temperature. Serve with the rest of your thanksgiving goodies! Enjoy! © 2017 So...Let's Hang Out. All rights reserved.